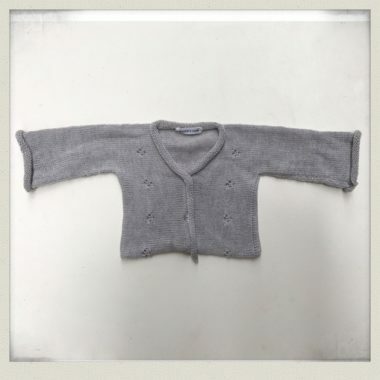 Silver merino newborn cardigan with lace knit detail and mother of pearl buttons. Perfect with silver merino trapper hat. 100% merino wool. Handwash only.